I made a little piece of art today, a reminder really for the upcoming year 2013. You can be your own cheerleader! Simply start with the word BELIEVE and go from there. 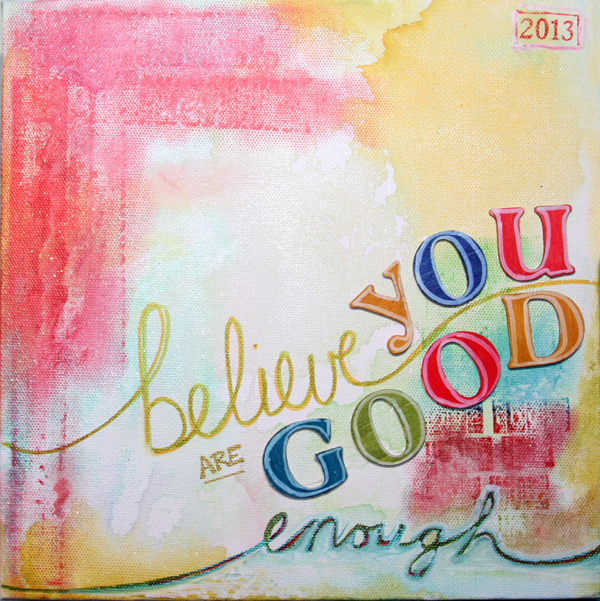 What do you need to believe about yourself in 2013? The project came together quite quickly using several different products from Faber-Castell Design Memory Craft®. I used my supply of Stamper’s Big Brush Pens for most of the work, because I find with a little bit of color, it can go a long way with water! To make the most with your Stamper's Big Brush Pens, grab some water in a bowl or spray bottle along with your canvas and a paper towel. Because you have some drying time with the watered down India Ink, you can pick up color here and there to get some cool effects! GET OUT YOUR STAMPS! And after you have the background effect you want, take some larger stamps and use your pens to apply stamped images on your canvas, then smudge them with your finger and more water. 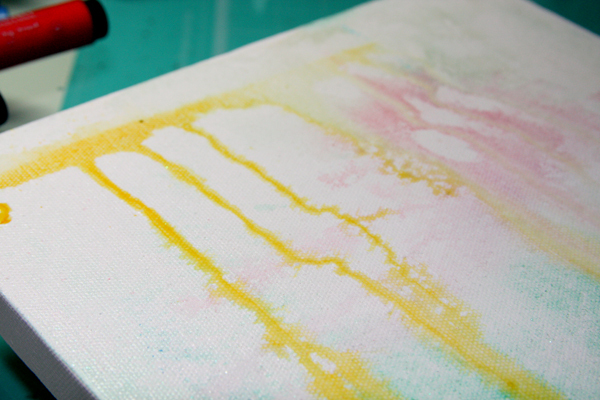 Step 1: Wet canvas with water, apply Gelatos and smudge color with your fingers. Let dry. 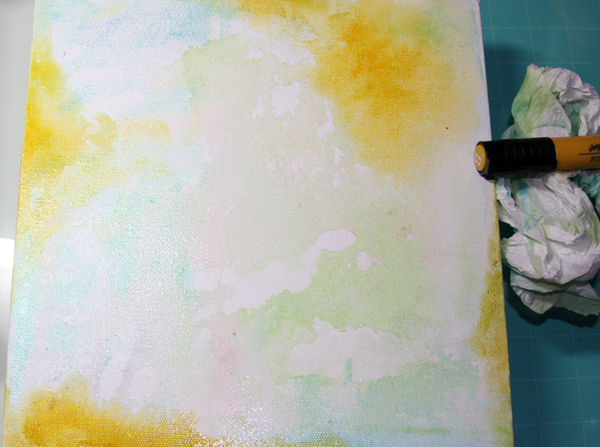 Step 2: Use Stamper's Big Brush Pens to apply lines of color, spritz with water, then tilt canvas on its side and let color run. Repeat with different colors until you get the desired look. With paper towel, pick up color here and there. Step 3: Apply main color around edges (I chose yellow) by coloring lines and larger areas (like 2 x 2 inches) and then working in the color with water and your fingers. Let dry. Step 4: Use background stamps and your Stamper's Big Brush Pens to make abstract color blocks (see red corner upper left and bottom right where I used stamps). Let dry. Step 5: Hand write a word across the canvas with the Stamper's Big Brush Pens. 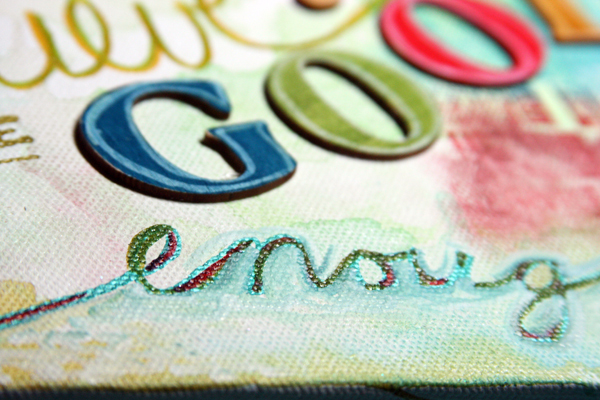 Also use the pens to color wood letters to canvas. Hand write another word if needed. 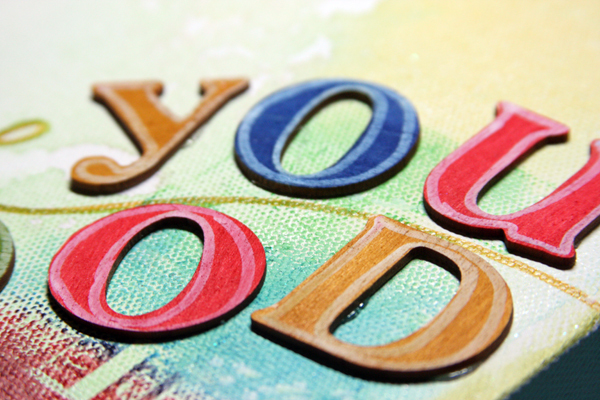 Use Metallic PITT® Artist Pen (Green and Gold) to add more dimension and interest to your titles. 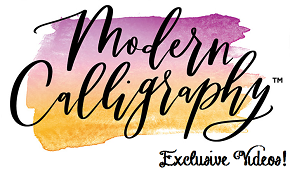 When your title is done, use your White Stamper's Big Brush Pen to highlight hand written letters and add white spots to the background. I love how the white pen colors OVER other colors and can help you blend as well. It can also help you correct mistakes! Visit Lesley's personal blog for more information. This canvas is fabulous! The colors are gorgeous. This is gorgeous and I appreciate your step by step! Beautiful canvas! Inspiring for the new year!